The first part of this pages contains a special beerlabel from my latest beerupdate. I try to tell a bit more about the label, occasion or brewery. The second part will show all the previous special labels. 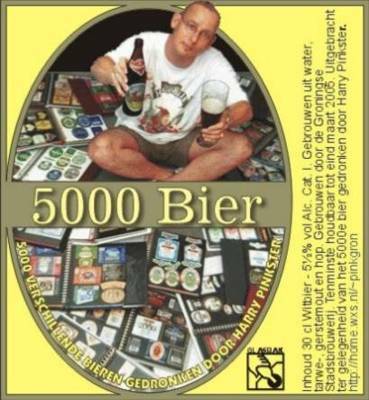 I started this page with the 4000th and 5000th beerlabel in my collection of selftasted beers. Also you find a link to the homepage of the brewery, just click on the breweries name. D Olle Grieze Brut IPA - Ned - Brouwhotel Parkzicht Veendam. D Olle Grieze Brut IPA is a collaboration between a great amount of breweries from Groningen and Friesland. The breweries unite to support the restauration of the organ at the Martinichrch in Groningen, the host of the yearly Bierfestival Groningen in april. The host of this brew changes every year, this time it was brewed in Veendam. Rooie Rinus - Ned - Sapmeester Bier. 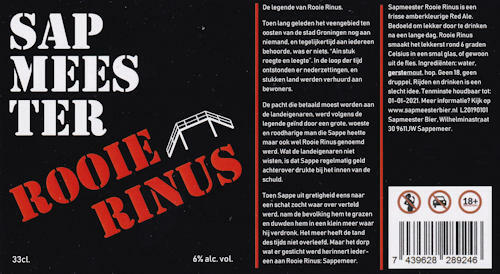 Rooie Rinus is the first commercial beer from brewery Sapmeester bier. Sapmeester is a referal to the small village of Sappemeer where the brewery is listed. As it is a contract brewery, the beers a brewed elswhere in the Netherlands. Fryskauw - Ned - Bird Amsterdam. 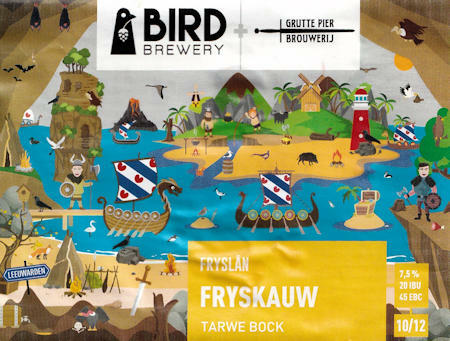 Fryskauw is on of the twelf beers Bird brewd in 2018 in collab with a different brewery in one of the twelf provinces of the Netherlands. Frieskauw is brewd in Friesland together with the Grutte Pier brewery in Leeuwarden. Leekster Tak - Ned - De Vrolijcke Joncker Zevenhuizen. Leekster Tak is on of the four beers in the range Westkwartbieren from brewery the Vrolijcke Joncker. These four beers are the Marumer Non, the Groote Gast Dubbel, the Leekster Tak Tripel and the Zuidhorner Abt Quadrupel and were released to memorize the founding of the new councel Westerkwartier in the province of Groningen. Punt Blond - Ned - Punt Groningen. Punt Blond is two beers from the new contractbrewery Punt in Groningen. The beers from Henkjan Matthijs are developped in Gronigen but brewed in bigger volume elswhere in the Netherlands. Henkjan participated in 2017 in the allready closed brewery Vechter, also from Groningen. 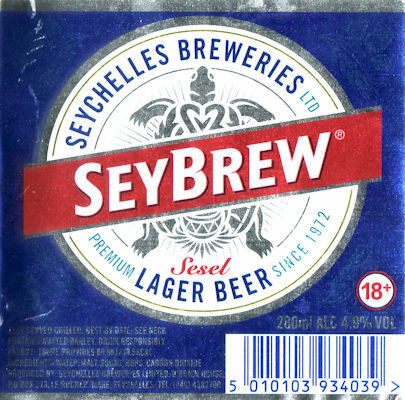 Seybrew Lager - Sey - Seychelles Brewery. This beer from the Seychelles became the 117th different country in my collection of tasted beers. On this occasion its not the beer that is special but the travel the beer made to get to Groningen. D'Olle Grieze Schwarz - Ned- Brouwerij Pivo Haren. D'Olle Grieze Schwarz is specialy brewed for the Bierfestival in the Martinikerk in Groningen. 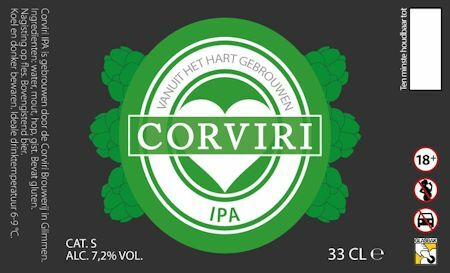 Special about this beer is the fact that it is a collab between 16 breweries in the north of the Netherlands and the fact that the raised money is for the restauration of the organ in the Martinikerk. Royal Ludina - Ned - Brouwerij Rockin'Ludina. Royal Ludina is an orange IPA to honour the fact that kingsday 2018 will be in my hometown Groningen. The beer is actualy orange due to the choise of the kind of hops used for this beer. 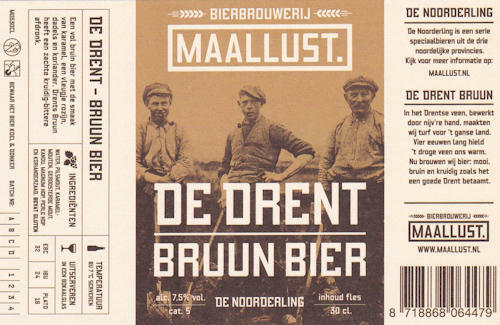 De Drent Bruun Bier - Ned - Brouwerij Maallust. De Drent Bruun Bier is the 14.000th label in my collection and was released in a serie of three beers initeated by the local newspaper Dagblad van het Noorden, to find three tipical beers for this region. The other two beers were "De Groninger" from Bax Bier in Groningen and "de Fries" from Grutte Pier in Leeuwarden. Westerwolder Sterke Blonde - NED - Brouwerij Westerwolde. Westerwolder Sterke Blonde is one of the latest beers from Groningen and it became label 13.000 in my collection	. 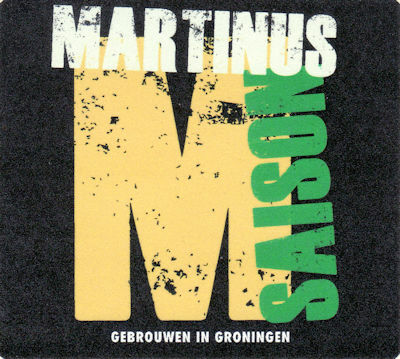 It is brewed by Brouwerij Westerwolde from Vlagtwedde, a small craft brewery near the German border. .
Martinus Saison became the 12.000th beerlabel in my collection and is one of the newest beerst from this brewery in my hometown Groningen. 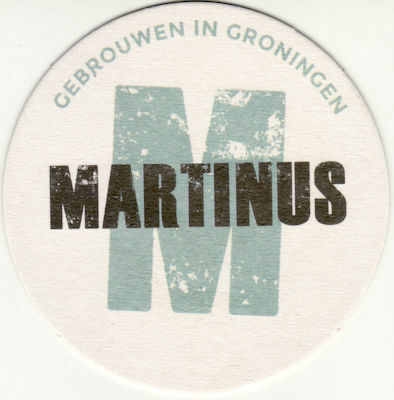 The beers from brewery Martinus became very poppular in a short time, also amongst tourist. In just a few months Martinus became listed at Tripadvisor. 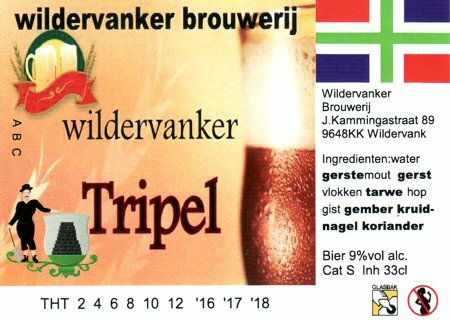 The Wildervanker Tripel (the 11.000th label in my collection) is one of the newest beers from Wildervank, a small town 20km from Groningen. In a short time this relative small brewery made some excellent beers. 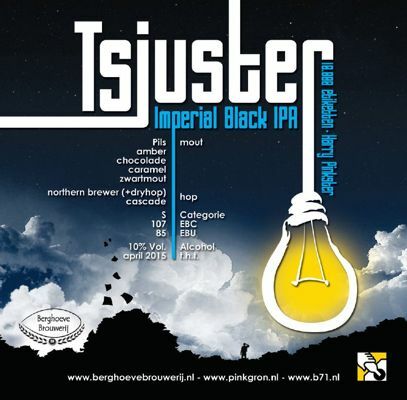 Tsjuster is specialy brewed by Berghoeve to be the beer from the 10.000th beerlabel in my collection. It had to be a beer with a byte. so malty, enough alcohol and mostly hoppy. 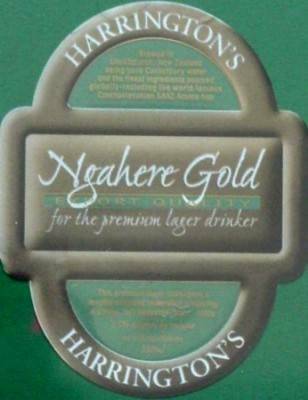 The beer is appriciated by lots of tasters and can be found at Ratebeer . More about Tsjuster (in dutch). 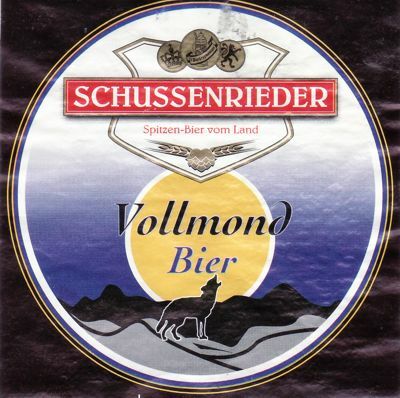 Vollmond Bier is one of the beers i tasted during my stay in the South of Germany. 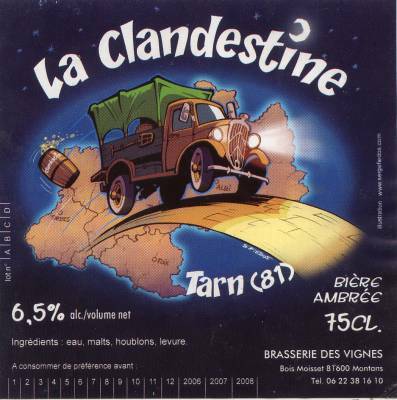 It became the 9000th beerlabel in my collection. Vollmond Beer is only brewed when there is a full moon. The brewery has a museum as well and should be visited. 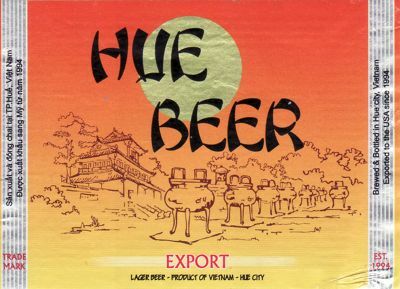 This beer might be one of the common beers from Vietnam, in my collection its special because it became the 8000th label in my collection of tasted beers. I got it from Rias who went to Vietnam for a vacation. The 7000e label in my collection is from the Groningse Stadsbrouwerij. 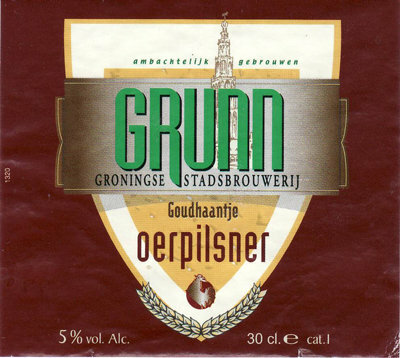 Under the button "Gronings bier" there's more to find about this brewery including all the beerlabels that came out so far. The 6000the label in my collection was a beer bought by my friend Robert MacDonald from France. 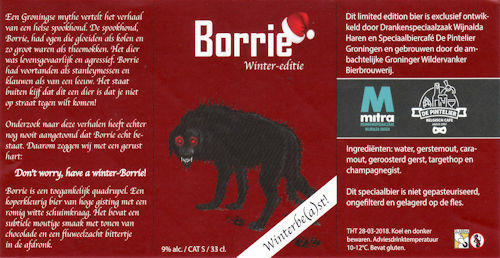 The 5000e label in my collection is a special beerlabel from the "Groningse Stadsbrouwerij". The brewery is looking for a brew location in Groningen. Until they find a good lacation the beers are brewed (with the recepies from the "Groningse Stadsbrouwerij") in other breweries. 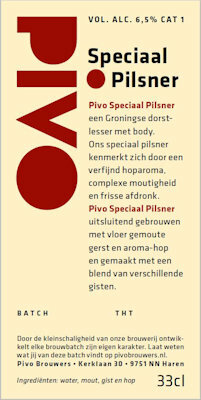 More info can be found in the menu: click on the button "Gronings beer". The 4000e beerlabel in my collection. Thanks to Rias Nuninga. He bought the beer during his stay in New Zealand.